Penultimate day at Restaurant Sat Bains with rooms, and the Finalists are really feeling like part of the team now! 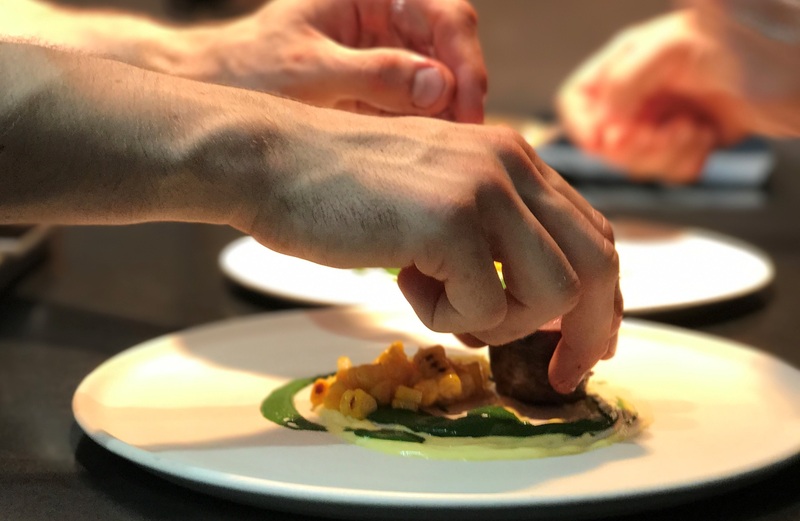 The guys have been plating up Beef Tartar, producing the Milk Crisps for the dessert and of course the nitty gritty of shelling Broad Beans and making the Carrot and also Kale Purees! Oliver spent the morning in the Pastry kitchen, and was entrusted to prepare the entire Chocolate dessert from start to finish, which was a great honour for him. His stand out moment today was the Thai Green Curry with Candy Floss, which he concluded is ‘an exceptional dish which balanced all 5 flavours to perfection’. He assisted with a brand new dish today, which was very exciting to be a part of, but he was awed by the skill and focus that goes into each of these new creations. on Chefs new dishes. 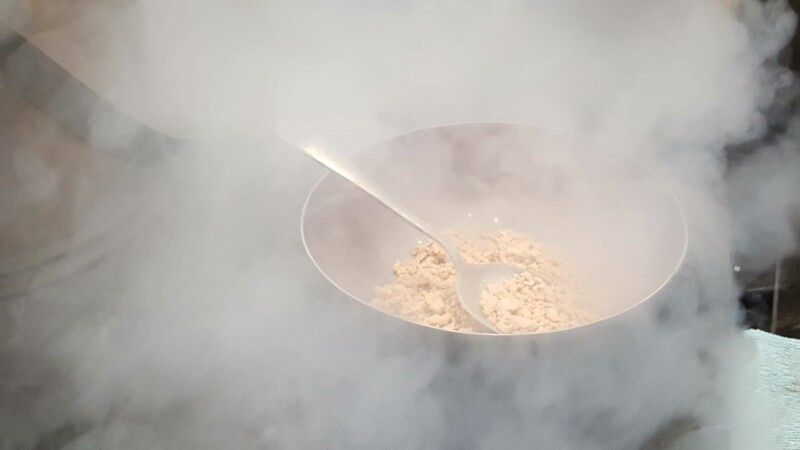 Harvey said ‘It was epic; we did a table of four and it is a really immersive experience, you get to have a lot of interaction with the guests and they were amazed and interested about the whole process’. Good luck with your Final pieces gents; Saturday is going be a lot of pressure for you both but hopefully a day where you can really shine and show Sat Bains and John Freeman your own creative style and passion.